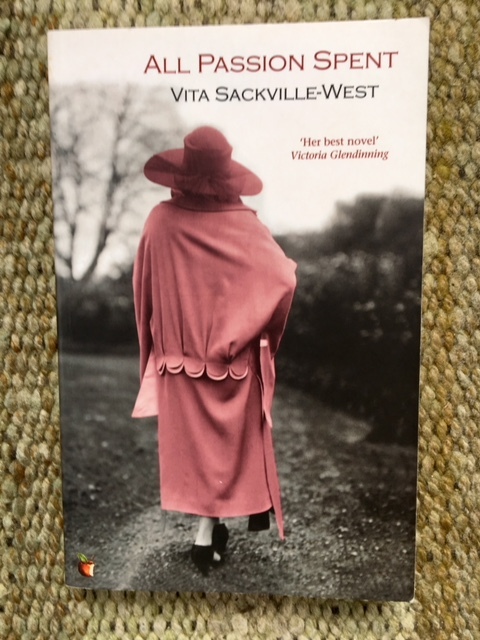 This entry was posted in English Literature and tagged Bloomsbury set, Victoria Gendenning, Violet Trefusis, Virago Modern Classics, Virginia Woolf, Vita Sackville-West by Simon Lavery. Bookmark the permalink. I loved this when I read it. I found it very moving, Guy. Wow you make me very keen to reread this. It’s several years since I read it, and it was my first VSW. Great review. I’ve only read a few things by Vita, but what I’ve read I’ve loved (though not this one yet). “The Heir” is short but very moving and powerful. I too, loved this book when I read it and always think of it with great fondness. Your review – brilliant as always, Simon – makes me want to read it again immediately. It’s the only VSW I’ve read and I must address that too. Being less experimental than VW, her writing is so much more accessible. I found APS amusing, uplifting and thought-provoking. Sandra: thanks for the kind words. If you can locate the VMC edition I’d recommend the Introduction I mentioned in my post; V Glendinning, VSW’s biographer, clearly knows her very well, and her analysis of the novel is perceptive and useful. If I had time I’d like to read that biography; her life was…interesting, controversial, colourful. I have the vmc edition but the introduction is by Joanna Lumley. How annoying. Much as I appreciate her I’m sure I’m losing out ! I do not doubt that ! In fact, it would be nice to be able to read both introductions. I agree Izzy, it would be very interesting to read both introductions. My green vmc says ‘new introduction’ by Victoria Glendinning. So hers replaced Joanna’s – presumably on the back of her biography of VSW. Adding another vote here – I love it! It’s one of the first VMCs I read and I re-read it recently … [goes to check …] yes, not too long ago, in January 2017. In fact, I called it a masterpiece there! https://librofulltime.wordpress.com/2017/01/20/book-review-vita-sackville-west-all-passion-spent/ I also loved The Heir. I’d be interested to hear your views if you do read it. I felt it lost its way somewhat after those piercing portrayals of the dreadful family, bullying and patronising the (initially) lovely protagonist. VSW is very good on houses. Not surprisingly. I loved the TV adaptation of this… looking forward to checking it out.